It's almost time for the Tour de France. The most important annual sporting event in the world. Well, in my humble opinion, that is. If you're excited to watch the bicycle race and listen to the dulcet tones of Sean Kelly as you fall asleep on the sofa after your own epic weekend ride, then this recommended shopping list is for you. As per usual, we try to support the independents, the makers, the illustrators and the designers rather than the big corporate brands, following the same sentiment as worthy causes like Just a Card. We've mixed things up a little too, bringing you art prints, clothing, accessories and gadgets – anything that satisfies your obsession with being on two wheels. 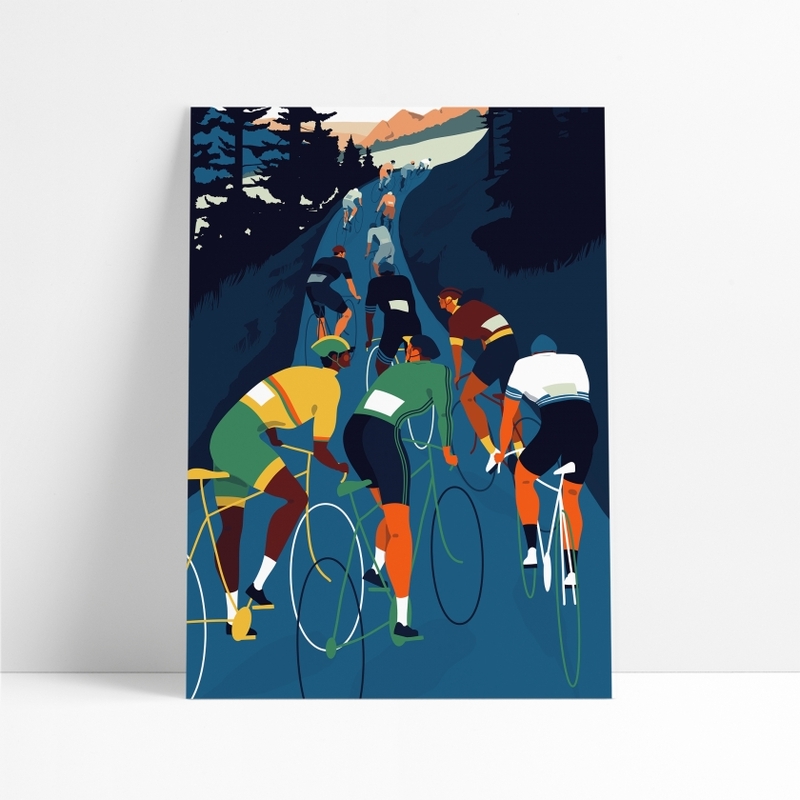 Designed by Matthew Burton, a Manchester-based illustrator at Peloton Magazine, this print is available in either A4 or A3 and is ready for framing and hanging on your wall. 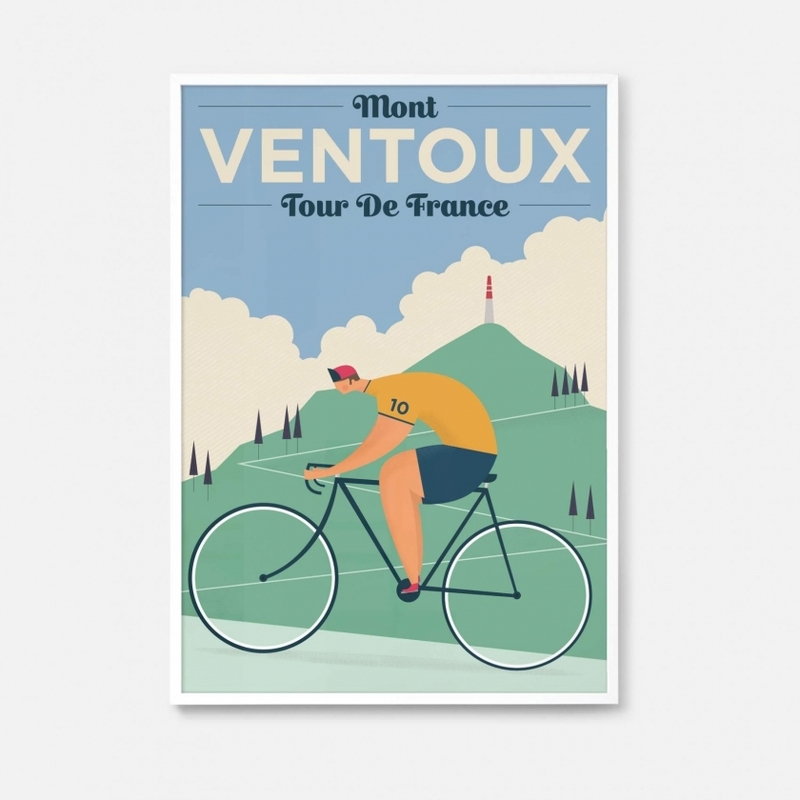 Just one of the many cycle-inspired artworks you can purchase from Pedalare, an online shop specialising in cycling prints. 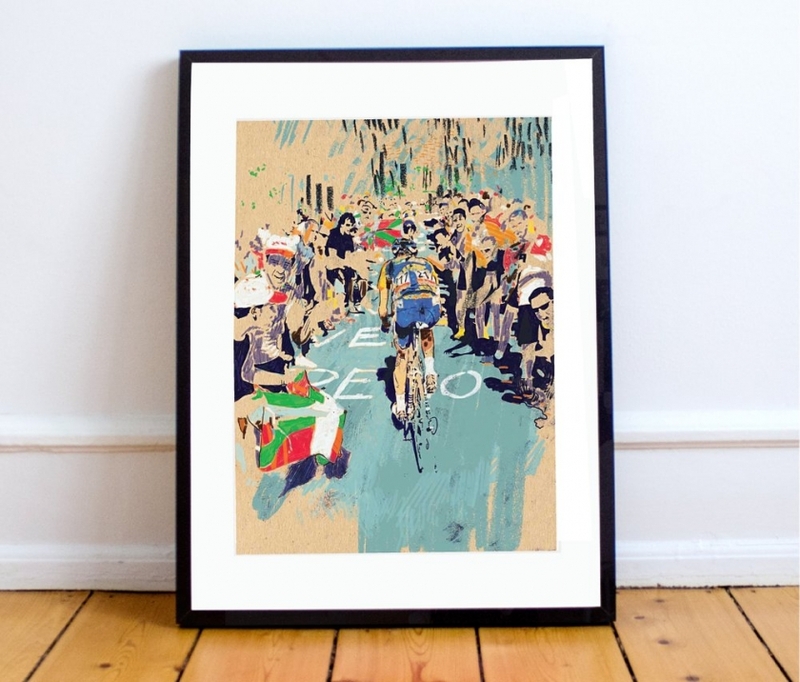 Another great offering from one of our favourite print shops, The Handmade Cyclist, this print is a tribute to the pain, suffering and pleasure our cycling heroes face when they climb and conquer the spiralling hairpins of the high mountains. Jen Lewis is a graphic designer, illustrator and cyclist who loves to dream up a few prints of her own to sell via her Etsy shop. 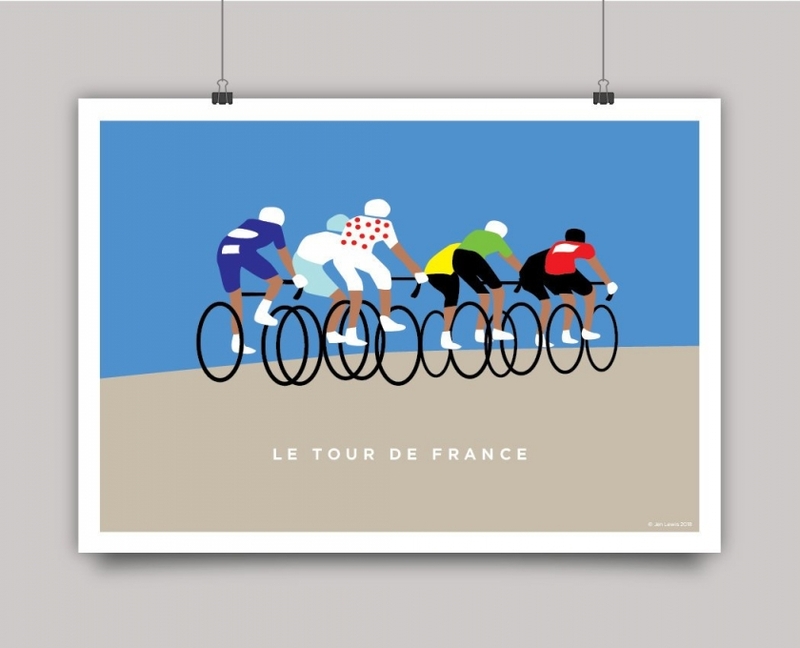 One of our favourites is this Tour de France print, capturing the very essence of riding in a peloton with the famous jerseys on display. "I wanted to capture the chaos and grace of the Tour de France," says Alice Mollon, of her exclusive print for Nine By Nine. "The big messy jumble of colours and limbs and jerseys and bikes, that becomes a giant snake as it slips and hurtles through the country." 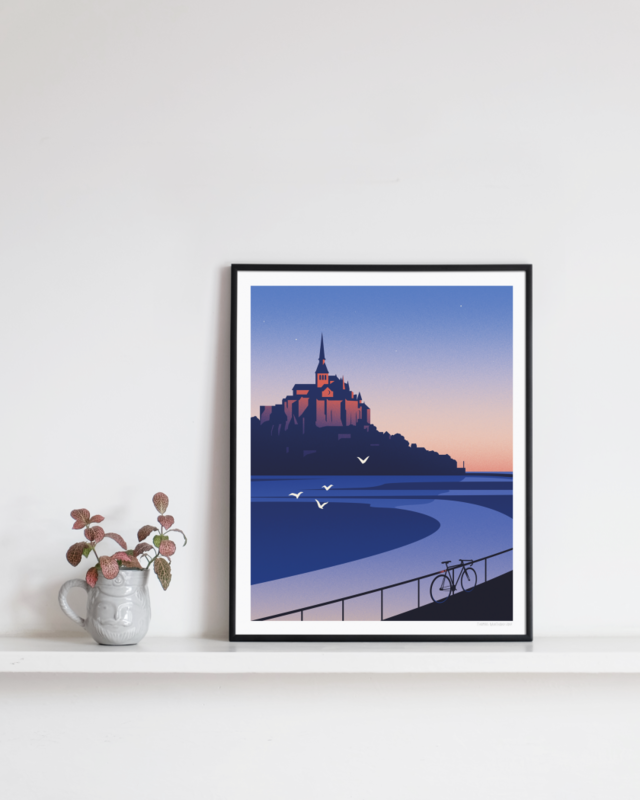 One of our favourite illustrators, Thomas Danthony, has created this beautiful print of Mont Saint Michel, close to where this year's Tour de France commences. With his usual clever use of light, bold compositions and dose of mystery, it's a beautifully subtle tribute to cycling and the Tour. 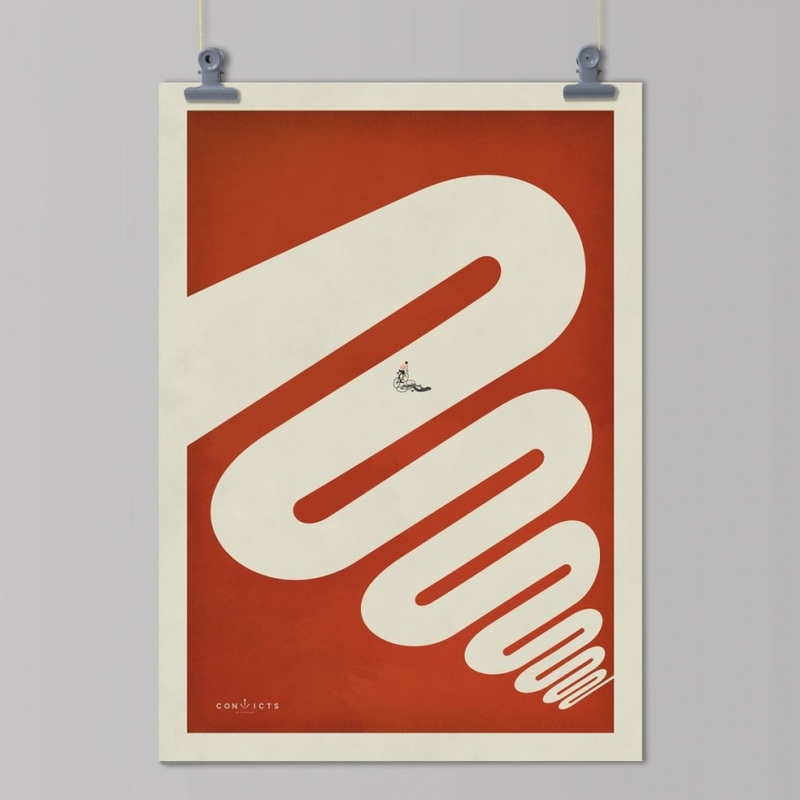 Another suggestion courtesy of Matthew Burton via Pedalare, an online shop specialising in cycling prints. 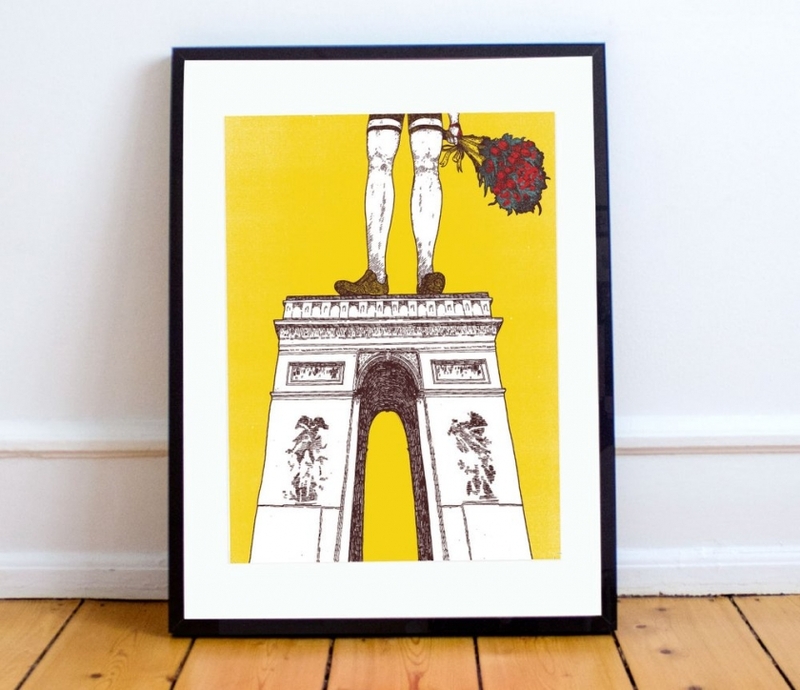 This one pays tribute to the final day of the Tour de France when one of our cycling heroes stands before the crowds wearing the famous yellow jersey and celebrating their win. This limited edition Giclée print by Paul Johnson will look mighty fine on your wall with its appealing colour palette and pay homage to one of the competition's most famous climbs. 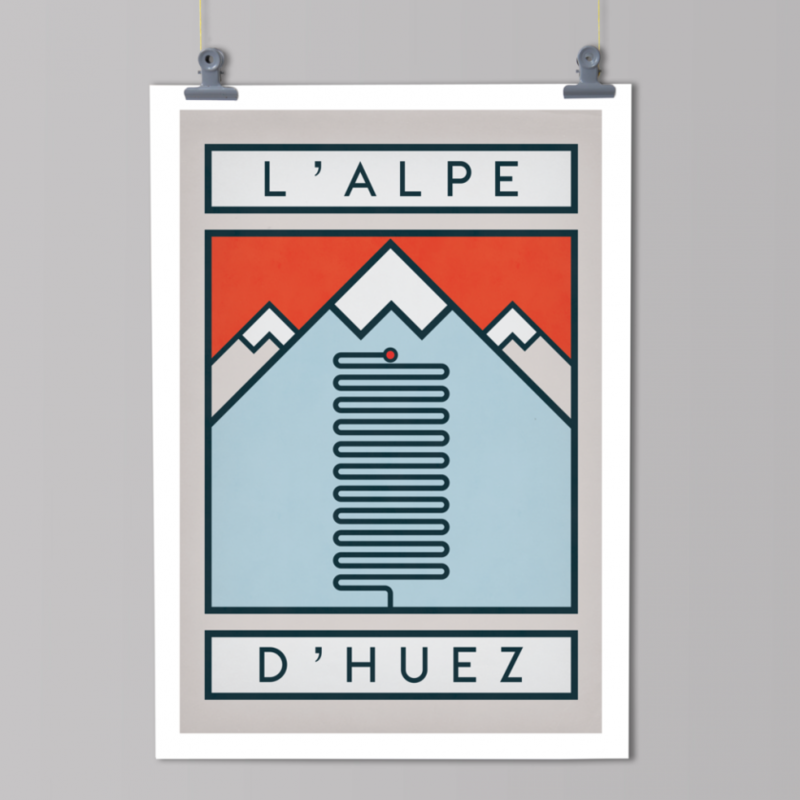 Another recommended print from The Handmade Cyclist is L'Alpe D'Huez. It's the stage every rider wants to win and immortality awaits with its twenty-one hairpins that rise up one of the most legendary climbs of the Tour. For me, one of the highlights of any cycling tournament is the spectators who run alongside the competitors in the mountains, often in the craziest outfits. 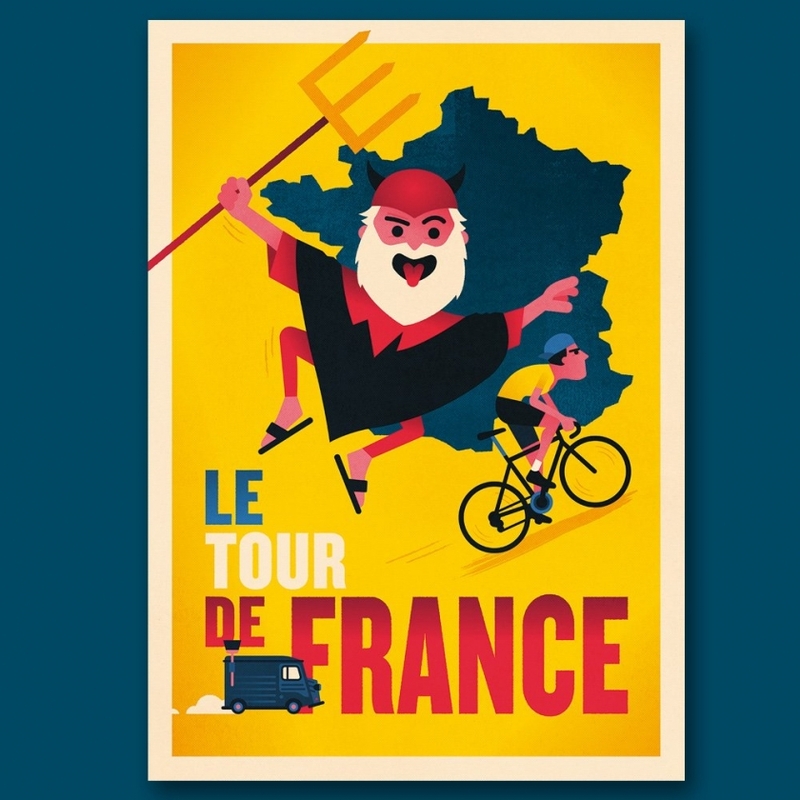 The Devil of the Tour de France by Spencer Wilson celebrates this amusing aspect of the competition and will look great on your wall. 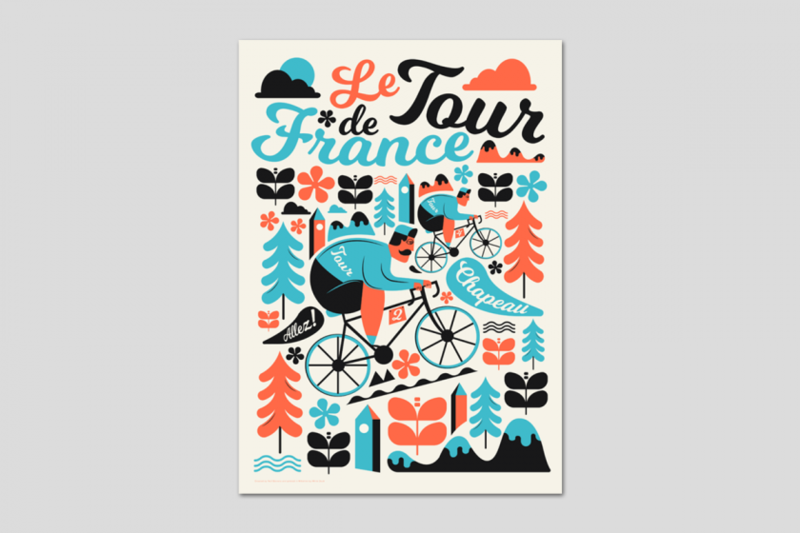 Printed on high-quality heavyweight matt photo 250gsm paper, Chapeau by Manchester-based illustrator Neil Stevens is a wonderfully retro artwork, celebrating the Tour de France and its unwavering heritage. Of course, in cycling "chapeau", which literally means "hat", is a term that riders use to one another as though doffing their cap to a cycling companion for a good day's riding.